It all started back in 1999. I had always had a keen eye for photography and enjoyed it as a hobby until one day a friend of mine told me she was getting married. Having seen my work she asked me if I would consider shooting her wedding. Never having done it I was reluctant to take on such a huge responsibility but she convinced me that she had faith in me. I shot that wedding on film (before digital was prevalent) and when I had the rolls developed I put the best ones in a photo album and brought them over to their house. I was very nervous. I am always my own worst critic and I was afraid they might not like what I had done. I put the album on the coffee table and they dove into it. I held my breath. They were overjoyed and told me that I needed to do this for a living. I upgraded my camera to a Nikon and set out on a path that would forever change my life. I was a tile installer at the time and that funded the fledgling business until I was booking enough weddings to support myself. That was a great day. In 2004 my cousin told me he was getting married. I got excited and reminded him that I was a professional hoping he would hire me, but alas he had already hired one, but he said he didn't have video. I had purchased a decent video camera a couple years earlier and had always toyed with the idea of breaking into wedding videos. So I readily agreed to shoot it. After the long editing process was finished I brought a DVD over to his house and again held my breath. The family went nuts. They loved my linear documentary approach that was clean and fun. This was a game changer. In 2005 I met a wedding photographer named Billy who became my mentor in photography. He had decades of experience that I didn't and taught me more than any school could have. I had shown him a few of my wedding videos and he loved them. We decided to team up. I did video and he did photography and we were booking around 80 weddings a year! it was awesome. On days that we didn't book video I would either shoot alongside him or we would book seperate weddings. In 2009 things literally came to a crashing halt. I had a bad motorcycle accident and had broken my femur. I had a metal rod in my leg and wouldn't be able to walk very well for a year let alone run and get the shots at a wedding. Then Billy had a brilliant idea. He told me that he knew a guy that was a wedding DJ and he would be willing to help me get started. I knew I could do it cause it was a sit down job and I had an assistant to help me set everything up at the events. I knew I had the voice for it, and all I needed was the confidence which I got with experience. I contacted a Baptist church in Virginia and long story short got ordained as an Associate Pastor. My ministry is weddings and I create custom services fit to the couple. I was back in business! Fast forward to today! My leg long has since healed and now I combine almost two decades of experience into a specialized wedding service second to none. 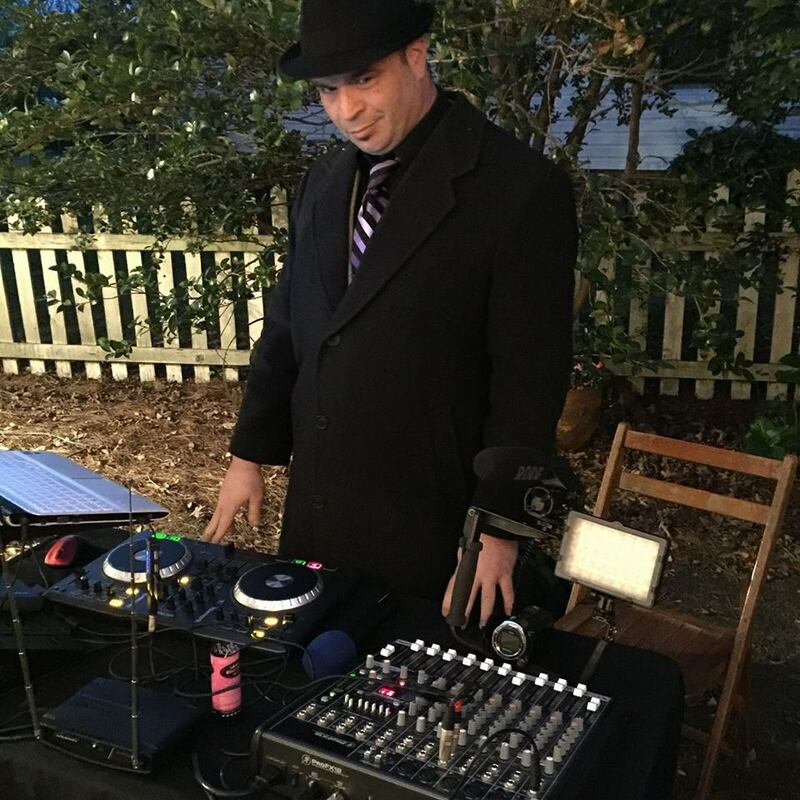 DJ, Officiant, Photography and Video out team can do it all ! We have NO TIME LIMIT EVER! Now we truly have you covered! (Previously Crystal Sound and Magic DJ) with Pegasus Wedding and Events DJ it is all about choices, and all about the girl in white!